Deliberately decided to withhold payment in favor of negotiating a steep discount. Whatever the reason, you are entitled to be paid in full for the labor or materials you contributed to a New York construction project. One extraordinary remedy available to you is the mechanic’s lien, which will prevent the owner from selling or refinancing the property until your claim is satisfied. While liens are effective, they are not a measure to be used lightly or in place of other collection methods such as a past due statement. How do you know when it’s time to file one instead of sending another letter? These three signs are good indicators. You send invoices and don’t receive a response, so you follow up with phone calls, texts, and emails that go unanswered. In this case, silence is speaking volumes. The project owner has decided that they can’t or won’t pay you and hopes that you will give up trying. If you can’t even reach them to discuss the issue, filing a lien may be the only way to collect payment. If you offer to inspect the work or otherwise address the problem and they refuse, it’s possible that their claims are an attempt to make their payment refusals look legitimate. Filing a lien would be an appropriate next step. Before filing a mechanic’s lien, consider giving the client one last chance to pay up by sending a Notice of Intent to Lien. Although this step is optional in New York, it’s a lot less likely to be ignored than a traditional demand letter because it puts the client on notice that you intend to file a lien if payment isn’t made. If it is, you have practically no other option but to file the lien if you want to be paid. In New York, you must file a mechanic’s lien within eight months of last furnishing services or materials. If the project was a single-family residential property, the deadline is four months. With all project types, you need to foreclose on the lien (in other words, enforce it) within one year after filing. The process of filing a mechanic’s lien is complex. If you don’t file the lien or enforce it within a certain time period, your claim can be jeopardized. 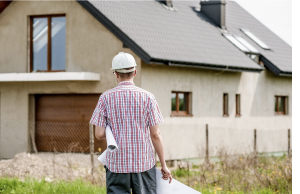 At NYLiens LLC, we know New York construction law and are committed to protecting your interests and rights by ensuring that your lien is filed and enforced correctly. For more information, please contact us or call 718-444-LIEN. For over a decade, NYLiens LLC has prepared and filed Notice of Mechanic’s Lien documents for all types of contractors and suppliers throughout New York State.